The Australia Council for the Arts announces that Brisbane Powerhouse has been awarded the tender for the Australian Performing Arts Market 2014, 2016 and 2018. The Australian Performing Arts Market (APAM) is a biennial performing arts market for artists and programmers from Australia and around the world to discover new artists, find new collaborators and meet with fellow professionals. With the existing delivery partnership due to conclude in 2012, the Australia Council initiated discussion with the sector and a scoping study to consider APAM’s future. A significant shift in future APAMs is a greater emphasis on the place of Australian arts and our region in a global context. Future APAMs will be a market, a festival and an exchange. The market will run alongside the World Theatre Festival, a curated program dedicated to the performing arts of the Australasian/South East Asian Region, providing a clear point of difference between APAM and other markets, as well as an opportunity to gain insights into arts in Australia and its neighbours. The 2012 APAM will be held at the Adelaide Festival Centre from Sunday 26 February - Thursday 1 March. Since 1998 The Australia Council has partnered with Arts SA to deliver APAM, with Arts Projects Australia producing the event. The partnership has seen the event grow from 200 participants including 35 international delegates in its first year to 584 participants, with almost 200 international delegates across 26 countries in 2010. 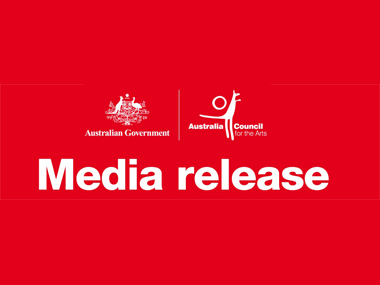 “The Australia Council is enormously grateful to South Australia - the Government through Arts SA - as well as Arts Projects Australia, the Adelaide Festival Centre and the Adelaide Festival, for nurturing and shaping APAM. It has been the launching pad for so many artists into the international market. We recognise the significant commitment and passion that has made the event a success,” says Rose.